Month 3, 2012… Social Media delivers its first surprises ! … the old tactics you were using last year or two years or three years ago in social media are not really going to work in the social era. Not only ! Even for Social Media itself, rules keep evolving without pause. What we learned last year, lives no more. This is how fast Social Media is moving right now, especially Facebook, whose recent multi-billion IPO will definitely boost development and evolution of the its Social Platform. We should, by the same time, see other SNS follow the pace. But first let’s see how we will make Facebook work for us in 2012. Getting to know the SNS juggernaut will definitely help at handling marketing on social media, in a more down-to-earth way. Don’t put all your eggs in the Facebook Basket… At least not for now. Facebook is an efficient SNS, with a one-stop shop like platform for Marketing professionals, who look for easily “targetable” masses and real time stats. But up to now, studies have shown, especially the one by Ehrenberg-Bass Institute, that only 1% of Facebook page fans really engage with Brands. This doesn’t mean that Facebook is an ineffective medium, it just suggests that before using Facebook as a marketing arm, one should know what an SNS can do and what it can’t. With almost 1 billion FB users all round the world, reaching 1% would be some great achievement and in micro-market Mauritius, reaching and engaging 1% of local FB 300 000-user base straight through Facebook would simply be phenomenal. Liking on Facebook is nothing but saying “Thumbs up” for a product, post or comment. You will need to work hard over the extra mile to get a first penny from a “Like”. A Like is not a vote, or commercial engagement. You will need to go real social and diplomatic to win that extra something that turns a somebody into a respectable and happy client. This rule for Social Media Marketing will never change. Remember that ! Futhermore, with Facebook’s removing the Like barrier for people to interact with Fan Pages, it has become more than obvious that more homework is to be done on how to build a stronger and more interactive Fan base. Don’t Panic… Adjust to Timeline. It’s gonna be awesome. Still not at ease with the split page and the big cover page? This is normal, but it allows your friends to see who you are, at a single glance. Everything is there, on a single page, with a 851 px cover to depict your awesome profile. Now, imagine doing same with your Brand, product or service. A real big cover, a sticky post for your running star-communiques. 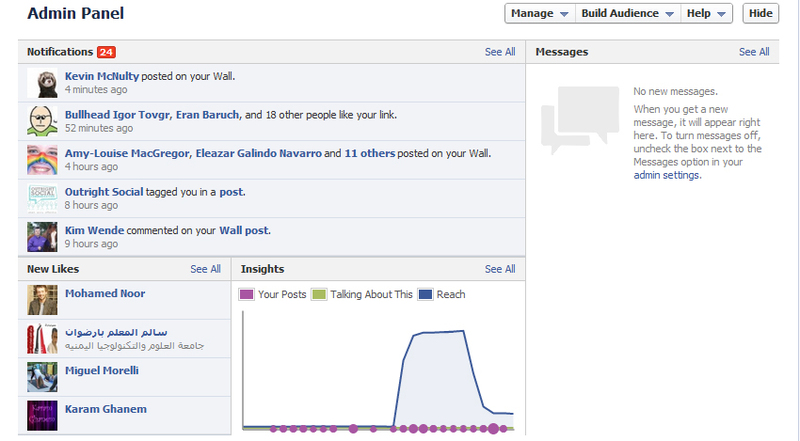 It will be all about visibility for peeps that spend an average 55 minutes a day on Facebook. Can you imagine of your Shop Window or your Billboard pane in the actual FB page format? • Everything of interest goes intuitively at the top, just under the cover page. Photos, Apps, Likes and no more on the clumsy left side. • Pinning a particular announcement for 7 days at the top is now possible : just click on the star to make it wider, or on the pencil to pin it to the top of your Page, hide or delete it. • Privately Messaging a Fan Page will be possible. That function was missing and finally they came up with it, helping for better interaction. • New Admin Panel and Controls will be available in the trail of the new Timeline setup to guarantee close-to-realtime stats and better Fan Page monitoring. For my part, I will find it more interesting to have negative comments on my wall than to have no comments or questions at all about my products and me. Better have the bad words on a monitored wall than have these words being said at the local shop without you knowing about it. The secret is to keep reasonable balance between relevancy, substance and radio silence, specially on one’s own homepage. One needs to think about the newsfeed load and the capacity for fans or friends to digest the flow of posts coming from the “Facebookverse”. I have been experimenting overload and noload situations with my own timelines and Fan pages, and the results have shown disinterest in both cases. I have lost friends and fans because of too much information and on the other side, lost endorsement rate because of no posting periods. Plan your Social Media actions with, atmost, two relevant brief updates per day. If you have been wise enough to selectively link your FB page with other relevant Social Media repeaters, the job will be automatically done, not by you personally. You will be felt more like a sharing friend than a spamming one. Sharing outsiders’ information has better perception especially when you are promoting your brand. You are felt more social. Build your own social network. Get your Facebook connected to other Social Media. Get your FanPage to interact with your Brand’s Twitter, Flicker, BranchOut accounts. Do not hesitate to invest time, energy and some money in Facebook apps and tabs so as to make your Facebook “promospot” (A place for promotion on Facebook, obviously) interactive and lively. If you can get some fan hooked up to your page for 5 minutes on a daily basis (he usually spends an average 55 mins on FB), you are then on the right track. But be warned, linking up requires relentless monitoring, content and substance creation. 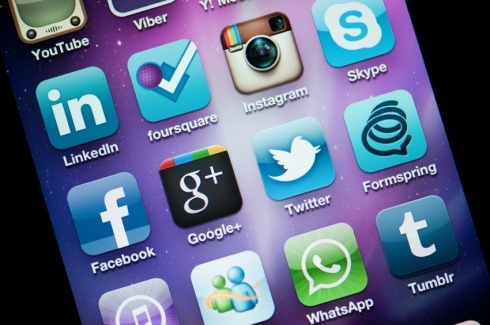 Social Media is human-resource intensive ! Facebook is gonna reach the 1 billion-user mark by mid year. This is Fact ! Getting to know the socialmediaverse evolution helps you choose the best options for the future of your brand. If massive engagement is the goal, Awareness must stay your main focus. Keep posted with how your local Facebook market moves. For example here, in Mauritius, our market oscillates between 280 000 and 305 000 users of which 45% are female users and 58% in the 13-24 yr-old range, which only leaves us with a pool of 128 100 users with real purchasing power to convince and engage with. Moreover, be learnt that the actual state of Social Media is IMMENSELY wide and still not totally tamed. The following stats from Mediabistro.com and AllTwitter are Just AWESOME. That’s just enough to feel the 2012 upcoming trends. And yet only 41 years since the first email was sent in 1971. And Yes… We really need to catch that big fat train ! This entry was posted in Professionally talking, Social Media and tagged Alain BERTRAND, Facebook, Facebook features, Mauritius, Online Communities, Social network, Twitter. Bookmark the permalink.